It might not technically be a Major Championship, but the Players Championship is one of the biggest events in the world. And whether you are an avid golfer, a weekender, or a casual fan, or you look forward to this tournament and the course that it is played on in Ponte Vedra, Florida. Furthermore, if you are one who likes to place bets on golf, this is a tournament to do it, as oddsmakers have formed a variety of wagers on the Players Championship as if it were a Major Championship. There are just about as many lines out as if it were a Major Championship, far more than just a regular tournament. Let’s take a look at the main betting line going into the tournament. The Odds to win the 2012 Players Championship. Rory McIlroy leads the way here, and it is no surprise as to why. The No.1 ranked player in the world has played well all season long, nearly winning last week at the Wells Fargo Championship, losing in a playoff to Rickie Fowler. Honestly, McIlroy is playing the most consistent golf of anyone in the world, and is a very good bet to be in contention. It’s reminds us of Tiger in a sense. Speaking of the former No.1 ranked player in the world, he is a bit down the list of odds to win the Players Championship, going off at 20/1. Now, that is still a top-five favorite, but Woods is coming off of a missed cut last week, and historically has not played well at TPC Sawgrass for whatever reason, aside from the 2001 win and 2000 runner up. Sandwiched in between McIlroy and woods are Lee Westwood, Luke Donald, and Phil Mickelson. But of these five, only Woods and Mickelson have won this event. But then again, there aren’t many tournament out there that those two haven’t won at some point. It looks like we are in for an exciting week at the PGA Tour’s signature event, played down the street from their headquarters. Be sure to check out all of the available lines to you, from 3-ball and head-to-head, to props and revised lines through the rounds. 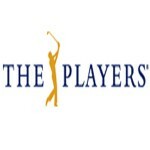 This entry was posted in Opinion, PGA Tour Betting Odds and tagged 2012 players championship odds, odds to win the players championship on May 9, 2012 by Bryan.